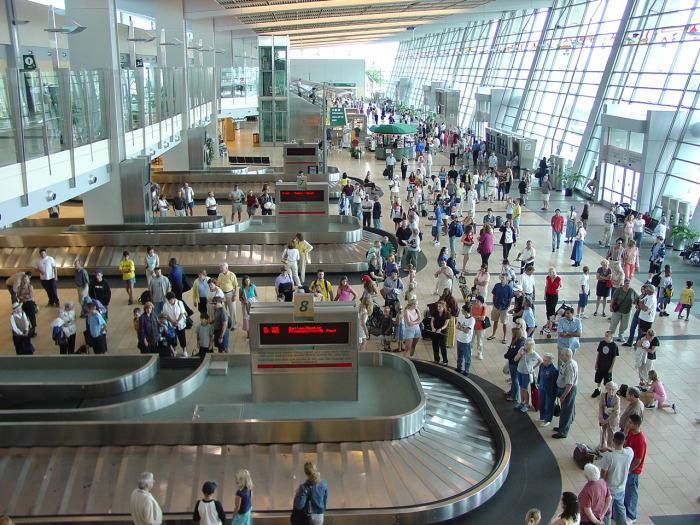 International passenger traffic at San Diego International Airport (SDIA) set a record in 2013 for the second consecutive year, increasing 21.5 percent over 2012 with 627,596 total international passengers served. In addition, total passenger traffic at SDIA in 2013 reached its highest level since 2008, with 17,710,241 passengers served. That represents a 2.7 percent increase compared to 2012. In 2013, airlines serving the airport carried passengers to and from 47 domestic and eight international nonstop destinations. The international passenger record was driven by nonstop service between San Diego and Tokyo (Japan Airlines), London (British Airways), Cabo San Lucas (Alaska Airlines, Spirit Airlines), Mexico City (Volaris), Calgary (WestJet), and Toronto (Air Canada). allowing expedited clearance for pre-approved, low-risk travelers upon arrival in the U.S.
increase of 0.9 percent for the year to 187,935; an average of just under 515 operations a day.